Good times, Saturday. As you read this, I'm hanging out at a Gundam Model Build day at a shop on the South Side of town. After that will hopefully be some Guild Ball. I've already had my tacos lingua. 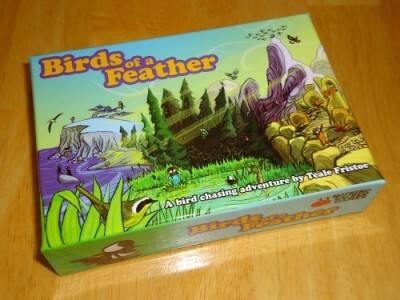 But as you're here for a review roundup, let's get you a review roundup. Today we have: Stak Bots Red Expansion, Apotheca, Summit, Meteor, Warhammer Quest: Silver Tower, Steam Time, Trick of the Rails, and Birds of a Feather. 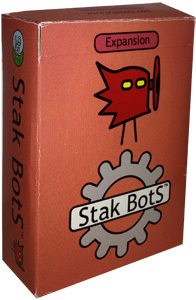 Red is the latest stand-alone expansion for Stak Bots, a robot-fighting, card game. More bots means new powers and more crazy combos. 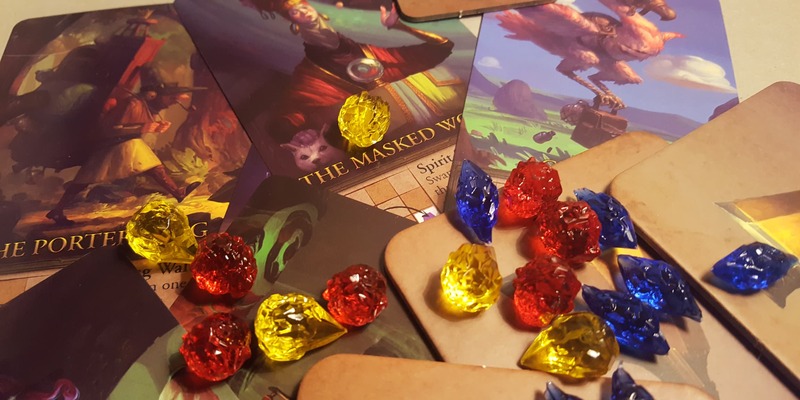 The board game Apotheca deals in deception from the moment you lift the lid off its box. Its first act of deception lies within its well-worn win condition: To defeat your opponent, the game tells you, you’ll have to be the first to create sets of three matching tiles in a row or column. If that goal evokes the victories of, say, a Candy Crush or Connect Four or tic-tac-toe, you’d be forgiven. Unfortunately — if you like games slightly smarter than something a four-year-old could master, anyway — those are not the sexiest of companions. 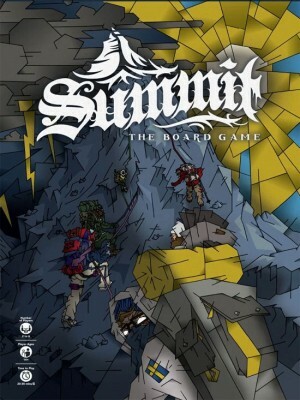 In Summit, players control one climber as they attempt to be the first to ascend and descend the mountain. Along with moving as quickly as possible, climbers will be given the opportunity to help or hinder fellow climbers, which will impact their karma. Apparently, all government space agencies around the world were taking a coffee break for a few years and didn’t notice that the Earth was going to be in the direct path of a group of asteroids. Now that the asteroids have entered our atmosphere, it’s up to the players to save humanity. Everyone will have to work together to build and launch rockets, develop technology to gain the upper hand, and retrofit unusable resources to stop these impending impacts. 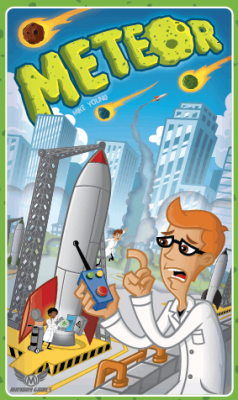 Players will need to destroy all of the meteors before the five minutes are up or else they lose the game. This might seem simple; but the time constraint isn’t the only issue. Players are also not able to speak to each other at the start of the game. 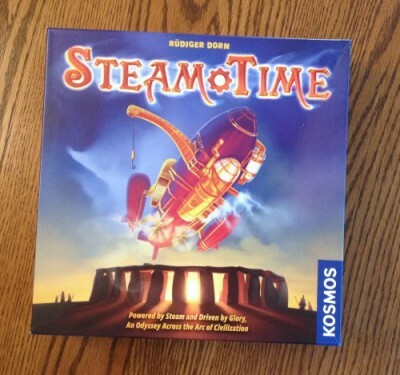 In Steam Time you captain one of those airships powered by “borrowed” supernatural crystals, traveling to the world’s most precious human monuments searching for the cause of strange and disturbing distortions in the space-time continuum. Sadly it seems one might have already been gobbled up as you fly around to not seven, but six different ancient wonders to investigate the mystery, gather resources and earn esteem in the eyes of your employers – the bureaucrats at the aptly named Temporal Institute of Monument Exploration (T.I.M.E.). 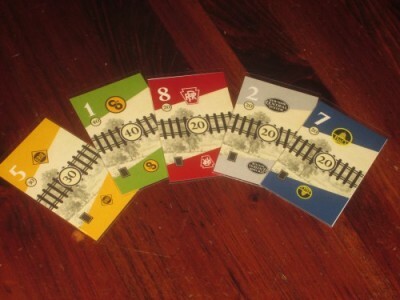 Trick of the Rails is a trick-taking stocks game for three to five players. Players invest in rail lines, extend their reach, and place locomotives to increase their holdings. The player with the most points at the end of the game is the winner.